A fresh twist on the intricate patterns of tribal folk art, the Pamela for Prima Miche bags adds a whole new dimension to your collection. 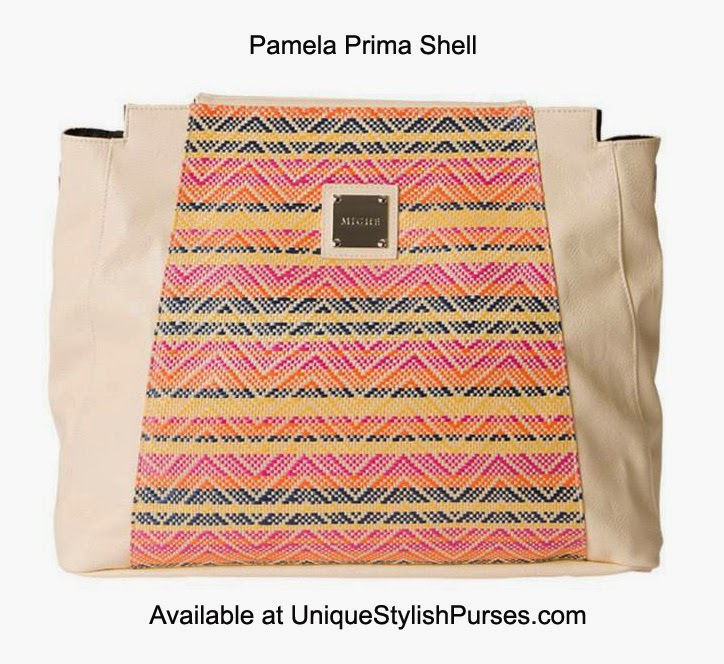 Lightly textured creamy faux leather provides the perfect backdrop to Pamela’s woven accent in happy shades of pink, orange, yellow and deep blue. Back zippered pocket and silver hardware.